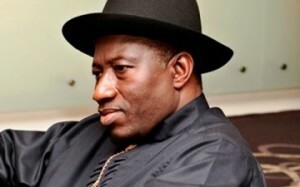 President Goodluck Jonathan on Saturday warned that the nationwide strike embarked upon by the Academic Staff Union of Universities might endanger the lives of Nigerian youths if further prolonged. The President spoke in Ado Ekiti, the state capital during the inauguration of the College of Engineering, Afe Babalola University. He urged ASUU to take into consideration the plight of the learners as patriotic citizens, saying, “The future of the country should not be sacrificed on the altar of industrial disharmony. This can endanger the future of the country. “I want to beg ASUU to reconsider its stand on the current impasse rocking our universities, which has kept students out of school for four months. ASUU on Friday however ruled out the possibility of accepting a new offer from the Federal Government, insisting that the 2009 agreement it had with government must be fully implemented. The National Treasurer of the union, Dr. Ademola Aremu, told SUNDAY PUNCH that the university lecturers were not making new demands. He said, “What we are saying is that ASUU is not making a fresh demand. For the N600bn that is being touted, they said N200bn would be included in the budget next year, the year after and the year after. But the agreement of 2009, says government will inject N1.5trn in universities in three years. Then, in 2012, the MOU says government will inject N1.3trn in four years. “Government now making a new offer shows that it wants to unilaterally repudiate our agreement. There was not a place in that agreement that said government should release N600bn in three years. An agreement is a covenant and a covenant must be obeyed and respected,” he said. Also, Jonathan on Saturday, pleaded with the disengaged workers of the unbundled Power Holding Company of Nigeria not to embark on industrial action. He gave the assurance that those who had yet to be paid their severance entitlements would soon be settled. Jonathan spoke at the official commissioning of the National Integrated Power Project 500MW Omotosho Phase II Power Station in Omotosho, Ondo State. “I will like to reassure all PHCN workers and our dear labour leaders that are yet to receive their full severance package that government is working hard to ensure that all of them get what is due to them. There is no need for industrial action,” the President said. He described the event as part of his administration’s efforts to provide adequate, reliable and sustainable electricity supply to Nigerians. He said with the implementation of his administration’s power sector reform, things could only get better for the country and its citizens. The President said his administration’s target was to boost power supply in the country by 4,700MW through the 10 NIPP projects. Having commissioned two of the projects starting with that of Geregu, Kogi State, Jonathan said the commissioning of the remaining eight would be concluded before the end of first quarter of next year. He added that at completion, all the 10 projects would be fully privatised. Governor Olusegun Mimiko of Ondo State said his government and the people of the state were elated to host such a gigantic project that would not only serve the people of the state but indeed all Nigerians.